One of the beautiful things about the World Wide Web is the fact that it provides a home away from home for people, making the world seem like a much smaller place. Individuals from all over the world, who share the same passions and interests and would otherwise never get a chance to meet each other, can indulge in and share in their interests through the formation of communities all over the internet. In recent years, the growth of communities which fall under certain categories has been amazing, with little pockets of the web dedicated to sharing knowledge and information for any topic, ranging from things such as design, coding and even dog grooming if that’s your thing. The flavor of the month at the minute seems to be centered around design and development, with websites popping up all the time which focus solely on those two aspects. Once such site, which has stood the test of time and been around since August 2000 is deviantArt which showcases user-created artwork in pretty much any form you can imagine and benefits from a thriving and constantly growing user community. The site works by allowing any artist to display their work, which is formatted and organized through a pretty comprehensive category structure. Considering deviantArt consists of over 14.5 million registered members, who have submitted over 100 individual pieces of artwork, it isn’t difficult to see why the site is so popular. 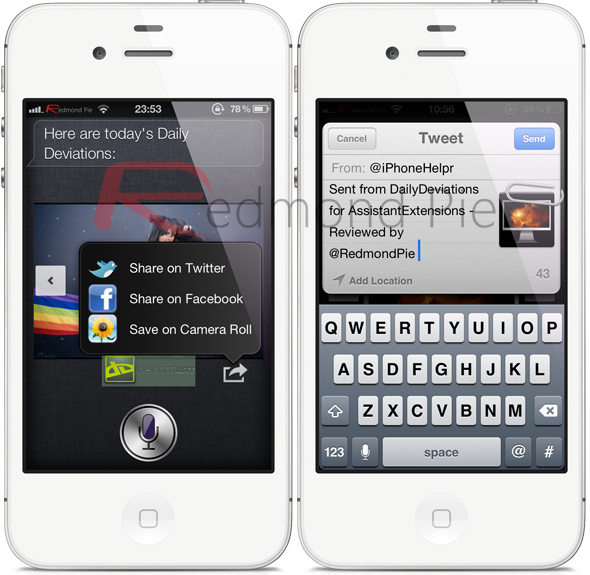 An iOS developer known as Pedro Vieira has recognized that popularity and made an attempt to fuse the power of Siri with the popularity of the deviantArt community by releasing his DailyfDeviations for AssistantExtensions tweak into Cydia. 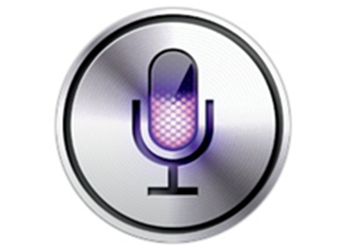 Yes, the name is a bit of a mouthful, but this tweak essentially adds additional functionality to Siri using the popular AssistantExtensions framework and allows users to give spoken commands to view the current ‘daily deviations’ from the deviantArt site. A small group of staff and volunteers choose a group of artwork from the website, which gets placed into a daily deviations category. The DailyDeviations Siri tweak scrapes that content from the website when given the order by the user, displaying it for all to see on the Siri screen. 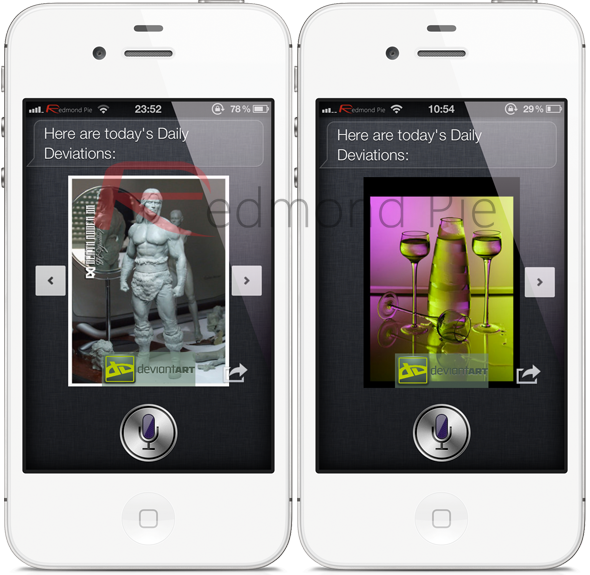 Users can simply say "Show me todays daily deviations" and Siri will oblige by pulling that information into view. Each image is displayed on screen with navigation buttons to move onto the next deviation. A simple left or right swipe gesture can also be used to navigate between the images. Users will also notice the inclusion of a deviantArt logo on each image, as well as a familiar looking action button located on the bottom right. The deviantArt logo provides a quick link to the relevant deviation, which when tapped will open up Mobile Safari. The action sheet brings up a pop over view which allows users to either share the image via Twitter, Facebook or save the image directly to the device camera roll. For those who are a fan of design, and in particular the deviantArt community, then this will likely prove to be a popular tweak for quick inline browsing of the daily deviations. It is worth noting that this is an unofficial creation and has not been submitted by the owners of the deviantArt site. It would be nice to see some small user interface changes to the tweak as at the minute it is visually a little disorganized but I am sure that will come in time. DailyDeviations for AssistantExtensions is available to download free of charge from the BigBoss repository and requires iOS 5 or above and a device with Siri capabilities. The AssistantExtensions tweak is a prerequisite for this to run and will be installed automatically if it isn’t already on the device.